I have always been in love with France and its turbulent history. My husband is French and my grandmother claims to have a copy of our family tree going back to the 12th century. She says she can trace our ancestry back to Henry de Navarre. 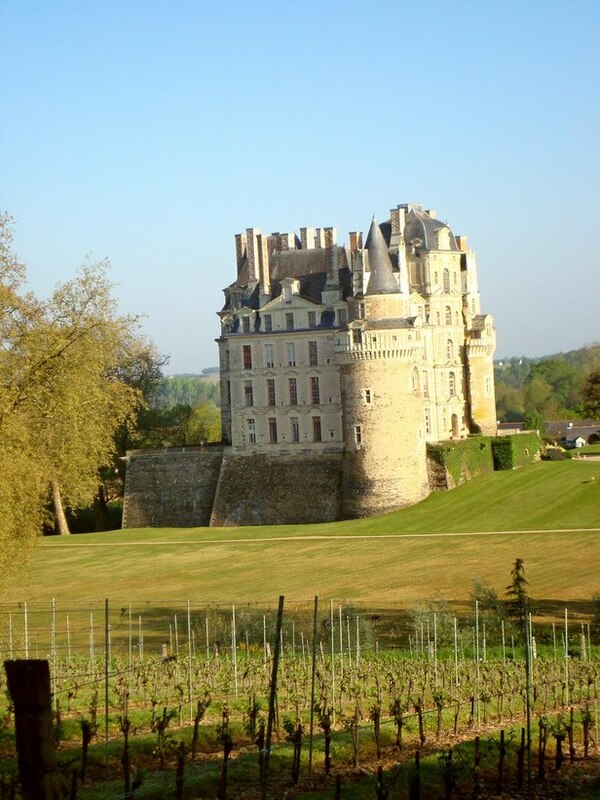 Brissac Castle, located in the stunning Loire Valley, was once owned by Henry de Navarre. It was once owned by many people and, like many castles, has a history that is full of war and strife. 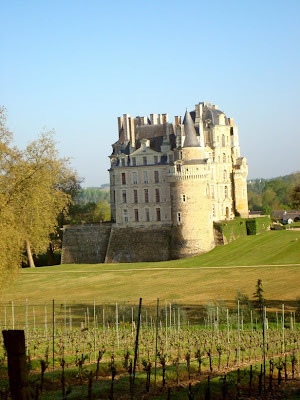 Brissac Castle was built as a fortified castle by the Counts of Anjou in the 11th century. During the French wars of religion, the castle was given over to Henry de Navarre in 1589. It was badly damaged during the civil war that followed between the protestants and the catholics. The catholics were lead by the infamous Catherine de Medici and her sons and the Protestants were lead by Henry de Navarre. The damage to the castle was so severe that for a time, it was scheduled for demoliton, but was purchased and renovated by the Duke of Brissac only to fall into disrepair again during the French Revolution. Again it was saved in 1844 by the Duke of Brissac's family. Brissac is the tallest castle in France. It is seven stories high and it towers over the French Countryside reminding with its gothic towers and shadowed windows. The ghosts of this castle are not ghosts of war. They are the ghosts of a thwarted husband and his unfaithful wife. For a period, the castle was owned by a noble named Jacque. Jacque was a successful man with a beautiful and faithless wife. His wife, Charlotte, took a lover and was completely indiscrete in her affair. The legend says that she would make love to her young man in the room next to her husband, keeping him awake with her moaning. Jacque couldn't take the abuse and it wasn't long before his wife and her lover vanished. But the two murdered lovers had their revenge, their moaning continued, even after their death. It filled the castle, driving Jacque mad and making him flee his own home. Visitors to Brissac say that the two lovers still fill the night with the sounds of their passion and their ghosts forever linger in the shadows of Brissac Castle. I readily admit that the castle looks more like a romantic haunting site than a war one, if looks alone could evalute it. I like the romantic ones the most, probably because I grew up in the war one. I definately get a romantic feeling from this castle. I think that is France, however. War, plague, revolution and terrible things happen there, but some how or another it is the romance of the place that remains. I'm sorry Jessica it is such a long time since I have visited you ... this is such a beautiful castle and yes just by looking at it you get a feeling of romance...such a shame that it is still not in the name of your ancestor Henry de Navarre. Don't be sorry! I'm glad you liked the castle. I really want to Haunt Jaunt there some day. Anywhere in France really, but especially to the Loire Valley. How stunning. Another great French Haunt Jaunt. My faves of your shares! France history is fascinating, the country is fill with amazing castles, amazing towns, it is also my favorite country i Europe, plus their language is so cool. I found it in an old collection of French Ghost Stories. The collection is from the 1950s. Thanks for correcting the history!